Faction Wars! 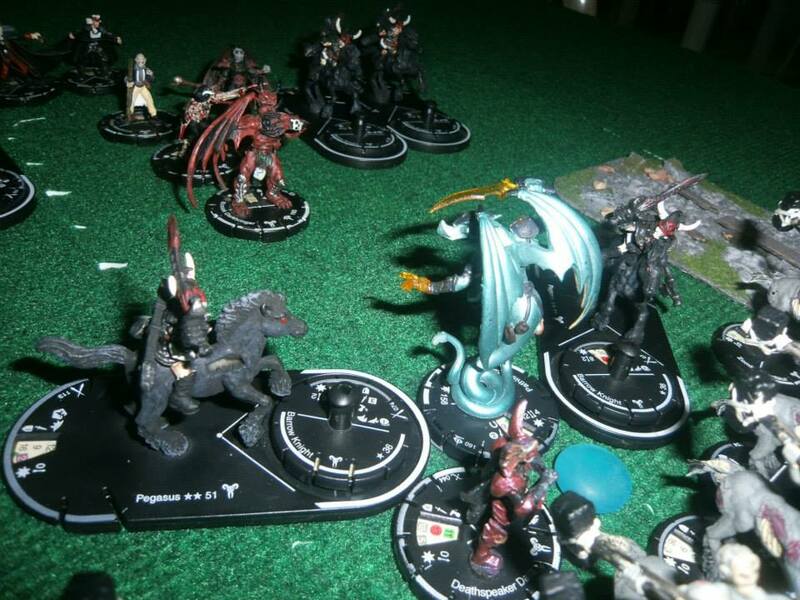 Draconum vs Dark Crusaders! Re: Faction Wars! 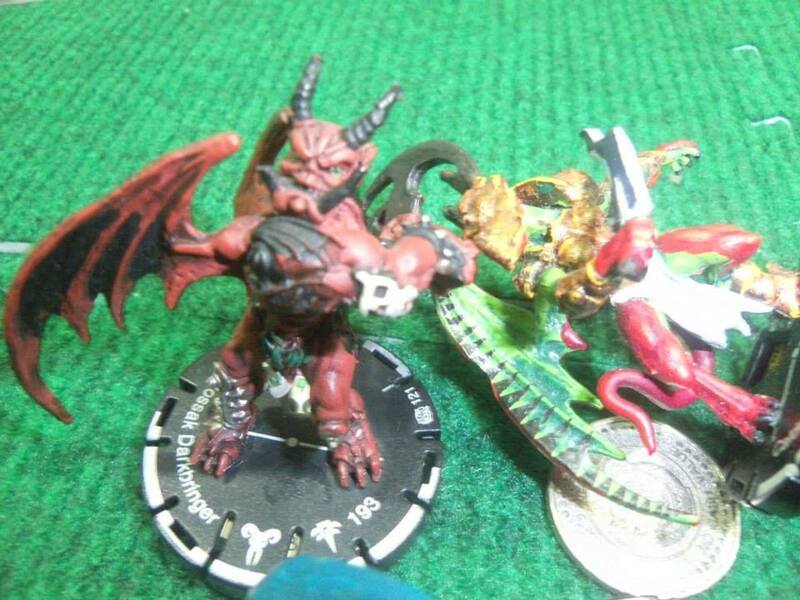 Draconum vs Dark Crusaders! Mecha-Draconums! Neph Pike with black sledge! Demiphant with Tezla’s manual! Neph Pike took out almost ALL the centaurs zombie including, tazia’s Pegasus and a spiritcatcher! Tazia took out the revered mystic but the attack was put on pause since the Pegasus died. 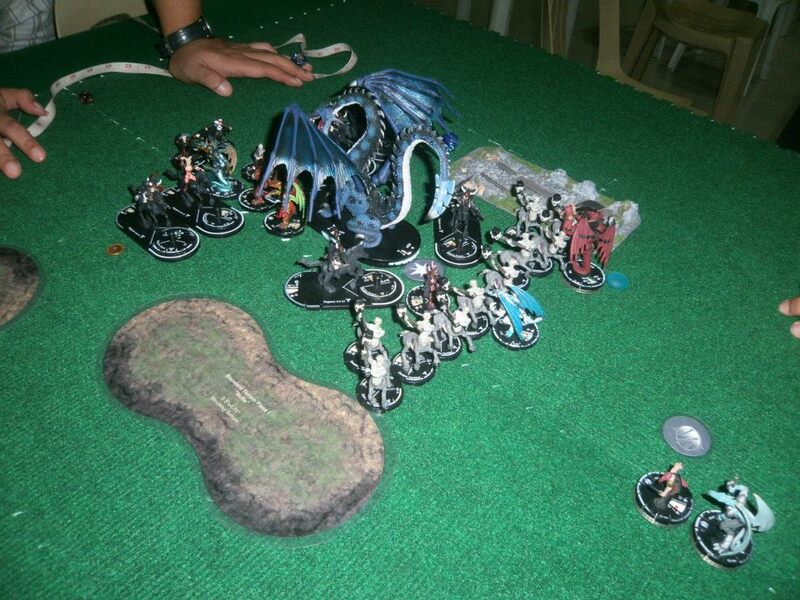 Deathsinger and a spiritcatcher was left for the DC camp, reanimated the dead one by one and hit Neph Pike and the skydragon leaving Demiphant alone and it ended on a chess game to control objective tokens. DC took game 3! 2,000 points! All-out war! Dragons vs The Undead!!! 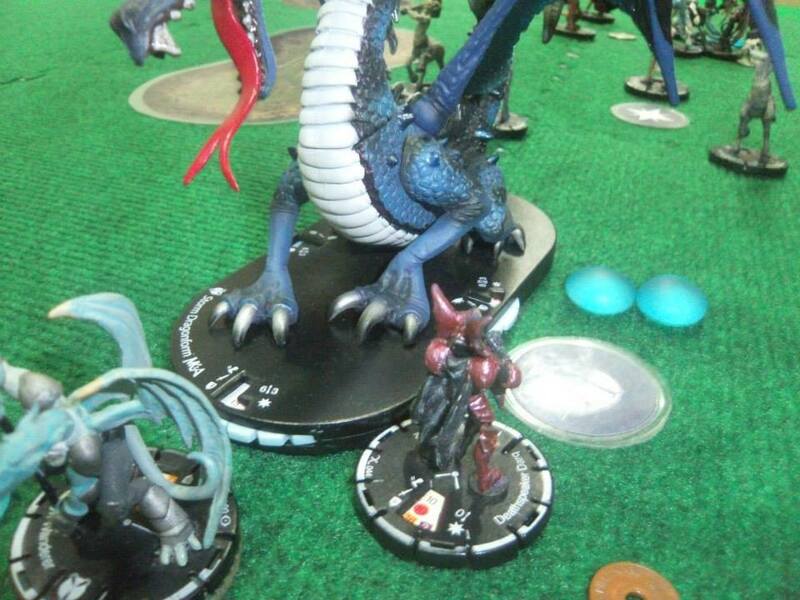 Storm dragon, Vithzerai, Niasamond, Chroma, Vharigar, Caldera and an all-star cast of Draconums advanced fast taking the 3 objective tokens including the middle one. 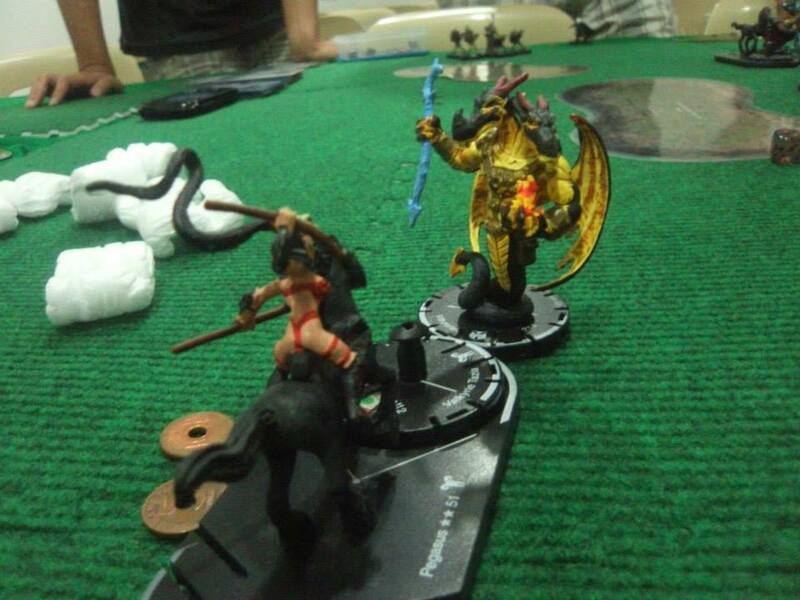 The Dark Crusaders camp set up a barrier of centaurs backed up by Kossak, Darq, Tazia and Barrow knights on Pegasus. Range defense was in place with stormwall wielded by Flayer. 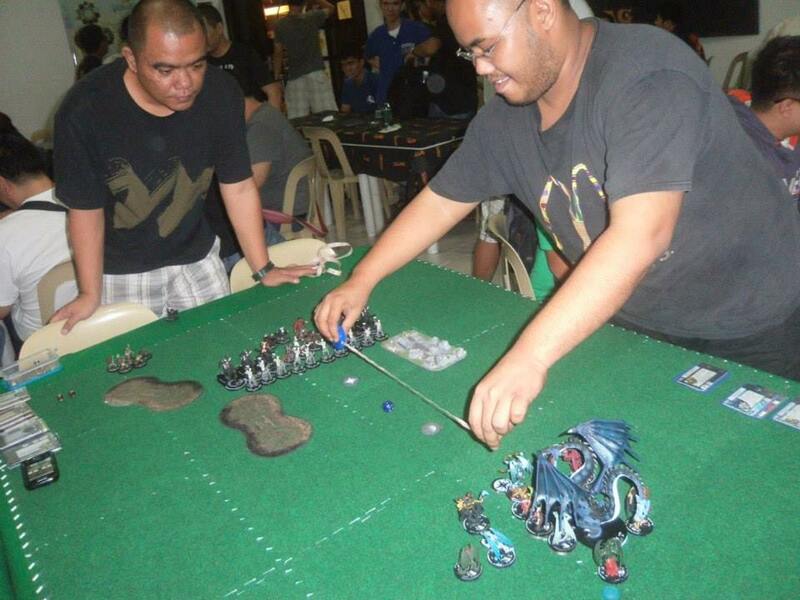 Zombie Baron at the back setting up the heavy artillery! Pathis arcana charged on her own facing the entire DC army! Centaurs blocked the entrance to isolate Pathis then came Darq and 2 barrow knights who attacked but all failed! Pathis break away and based Tazia at the back. 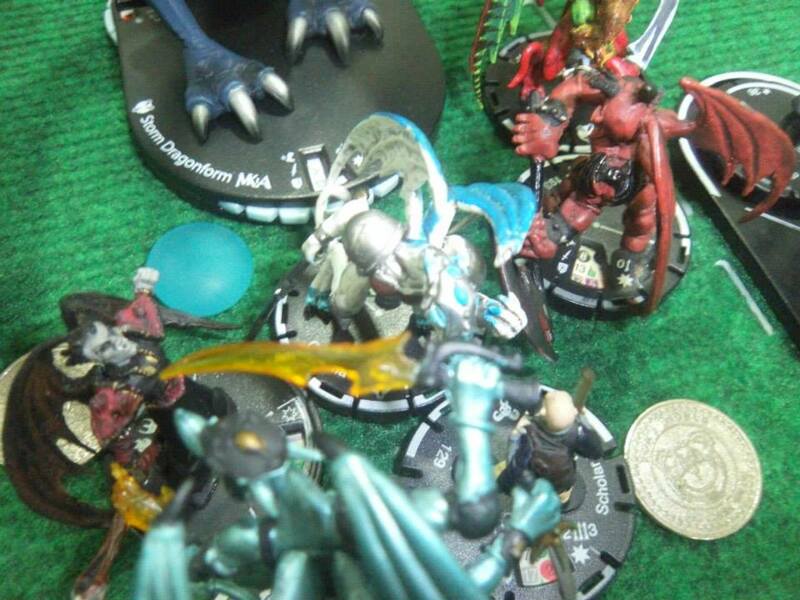 It was the Storm Dragons turn to penetrate the defense and took out Flayer in one blow! Niasamond and Chroma both sweeping off the centaurs causing the wall to collapse! DCs turn. 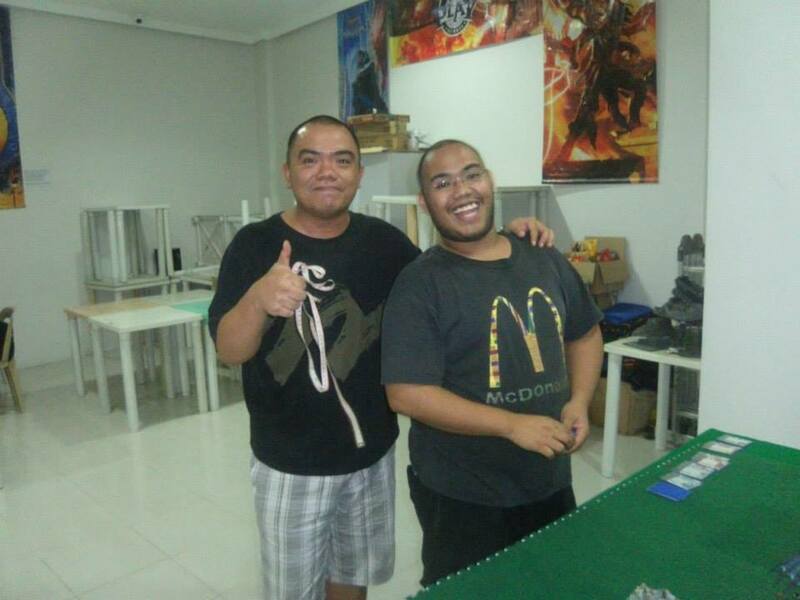 Tazia gunned Vithzerai. Barrow knights ganged up and kill Niasamond. Darq followed through after an explode undead eliminating Goldyx. 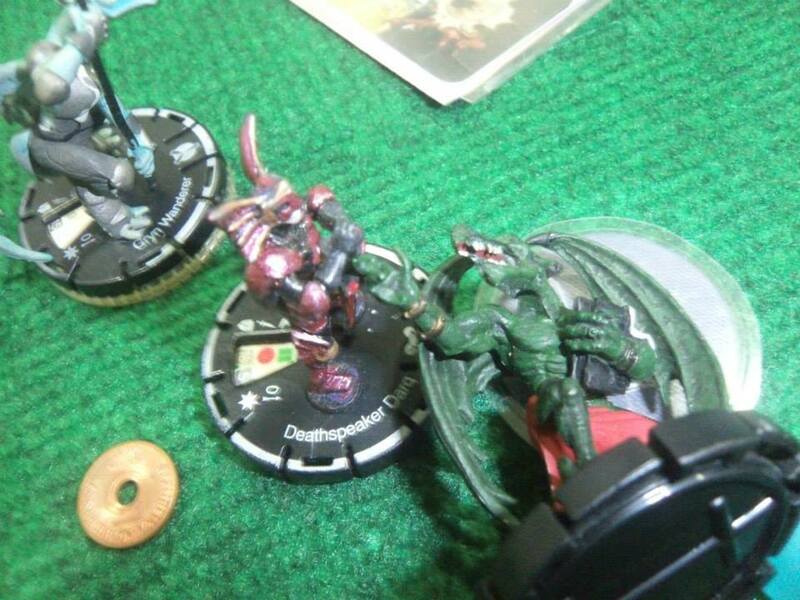 Chroma attacked Scholar and Astrus but failed on the dice roll! Barrow knights attacked Vharigar and Gryn Wanderer. Kossak attacked and eliminated Caldera! Storm Dragon attacked Darq. Vithz killed himself  Pathis eliminated Scholar. The barrow knights grabbed the objective tokens from the draconum side. 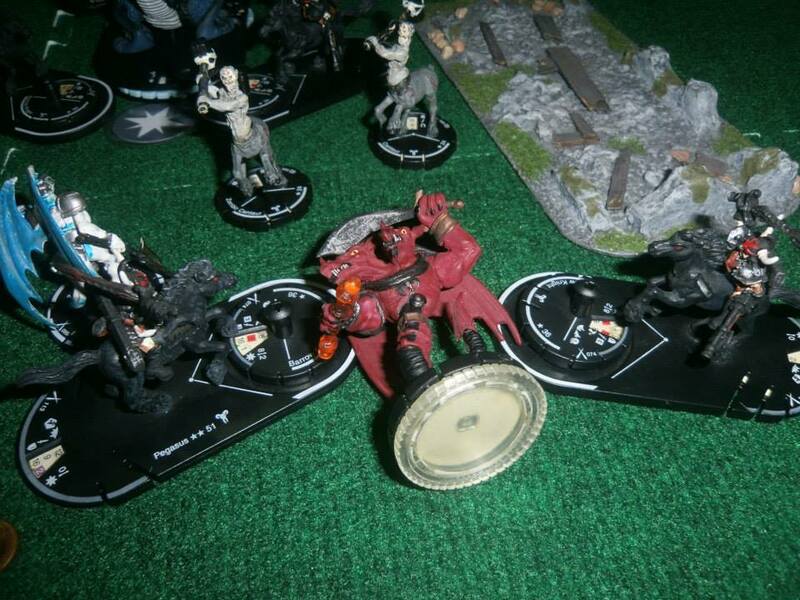 Darq stepping on the middle token and Sydin and Baron occupying the 2 other tokens. Dark Crusaders took game 4 and sweeping the series at 4-0 against the mighty dragons! Thanks to Roy for welcoming the Faction Wars series! This event wouldn’t have pushed through if not for this guy! Great Faction! Great Player! Great games! Can I have a go with this on Saturday? I challenge Nye for an 'extended' Draconum VS DC faction war. 500 pts pure faction; no restrictions. The dragon god challenges the DC general! This is for a new series or just 1 game? GAME 1 GAME 1 GAME 1 !!!!!!!!! time to re-arm lick our wounds an brush our teeth another war against the formidable dark ones is in the horizon this will be bigger better and badder. notorius wrote: time to re-arm lick our wounds an brush our teeth :Danother war against the formidable dark ones is in the horizon this will be bigger better and badder. Messier would be right term I think..hehe! hell yeah it will be messier and since pike already came out time to bring the top tier dracs to the table for the DC. The Deathspeaker congratulates the general for bringing in a fresh new batch of fresh Draconum leather . I will have the Judges fashion them into a new pair of shoes. By the way, I think Tazia has been wanting to get a leather Bra... 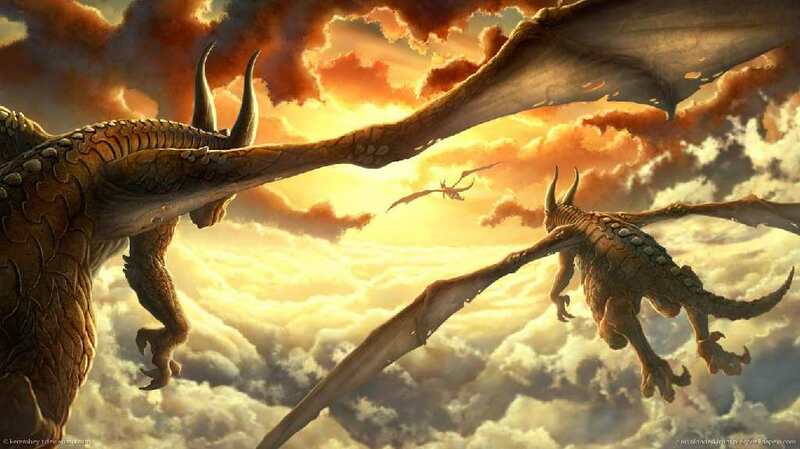 I hear a new batch/delivery of dracs are coming in to challenge/volunteer? Kay Pathis pa ata galing yung black bra??? haha! buti nalang gold na yung suot nung Pathis ko..hehe!